JD 8260R, JD 8225R, JD 8230, Amada 9970 peanut combine, JD 9870 STS, JD 6700 hi-cycle, Krause 7300dsc, JD 7125 stock fold planter, JD 1730 no-till planter, JD 1520 grain drill, KBH ST 350 seed tender. Directions: Being on Hwy 403, 3miles south of Mount Olive & 5 miles north of Faison, turn on Beautancus Rd., travel 3 miles, sale on right. Watch for signs along the way. John Deere 8260R MFWD, SN- KEP084341, powered by 260 hp, 6-cyl. 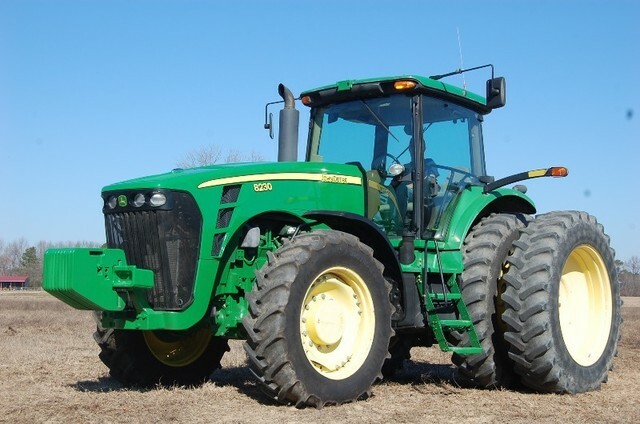 diesel, power shift transmission, differential lock, 1000 shift-on-the go pto, (4) sets dual remote hydraulic outlets, cab, 14.9R34 front tires, 18.4R46 dual rear tires,1508 hrs. John Deere 8225R MFWD, SN- CAP011963, powered by 225 hp, 6-cyl. 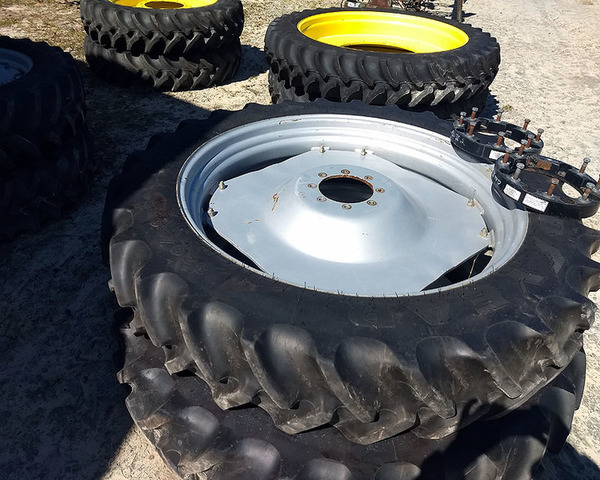 diesel, power shift transmission, differential lock, 1000 shift-on-the go pto, (4) sets dual remote hydraulic outlets, cab, 420/85R34 front tires, 480/80R50 dual rear tires, 4128 hrs. 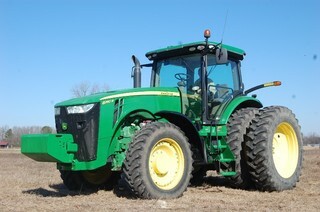 John Deere 8230 MFWD, SN-PO41039, powered by 245 hp, 6-cyl. 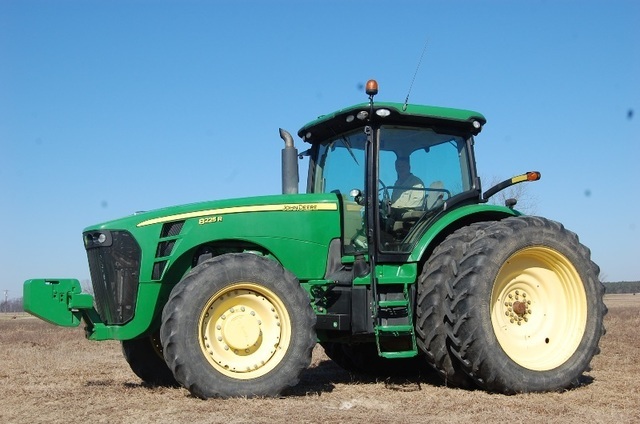 diesel, power shift transmission, differential lock, 1000 shift-on-the go pto, (4) sets dual remote hydraulic outlets, cab, 14.9R34 front tires, 18.4R46 dual rear tires, 6285 hrs., Green Star Ready. 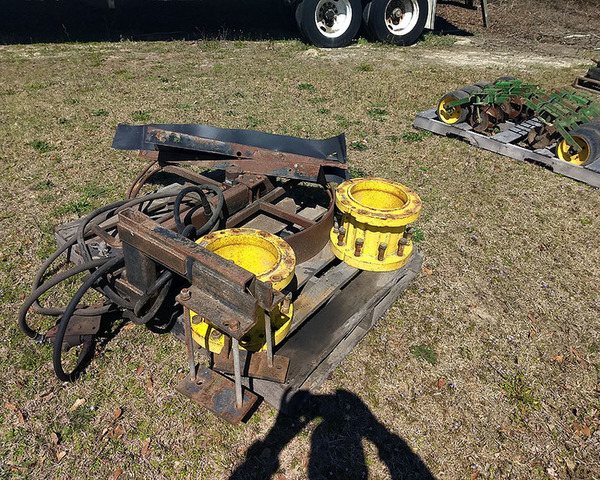 ’99 IH 9300 Eagle Pro Sleeper road tractor, Detroit Series 500hp, diesel, 10-speed, air brake, west coast mirrors, 24.5 aluminum Budds, single line wet kit, air ride suspension, 242” wheel base, 976,354 miles. 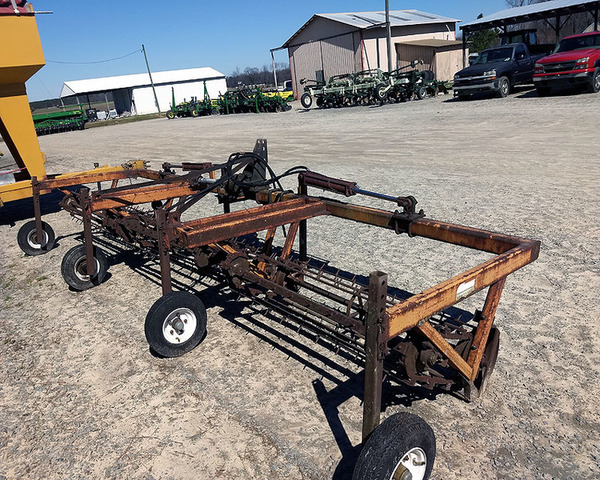 Spokes, 20’ Johnie Gregory dump w/60” grain sides, roll over tarp, Hendrickson walking beam suspension, live tandem, 218” wheel base. ’87 IH S2500 road tractor, Cummins NTC-315, 6-cyl diesel, 8-speed transmission, air brakes, west coast mirrors, 24.5 Budds front, 24.5 Spokes rear, live tandem, dual 120 gal. 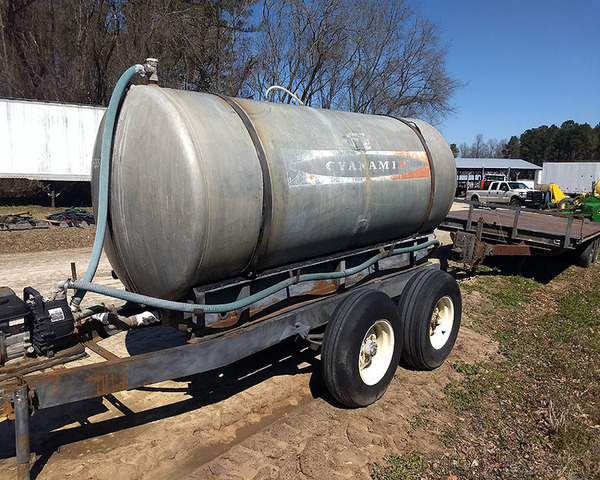 fuel tanks, 186” wheel base, 32,219 miles showing. ’07 Chevrolet 1500 Z71 extended cab, 8-cyl. gas, automatic transmission, below eyeline mirrors, 17” tires, 277,379 miles. 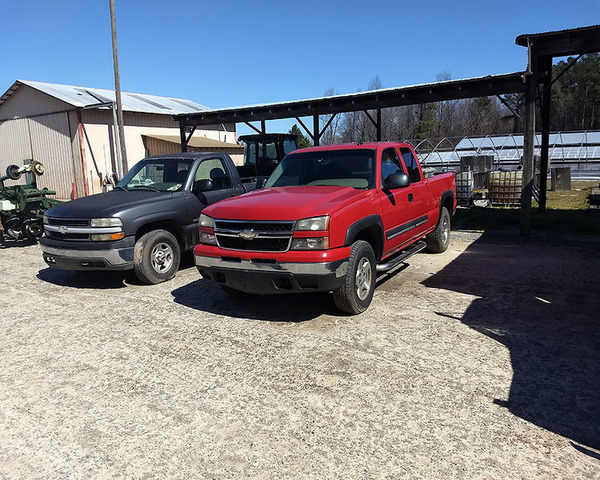 ’00 Chevrolet 4×4, 5.3 engine, rebuilt transmission, needs rear end, 16” tires. 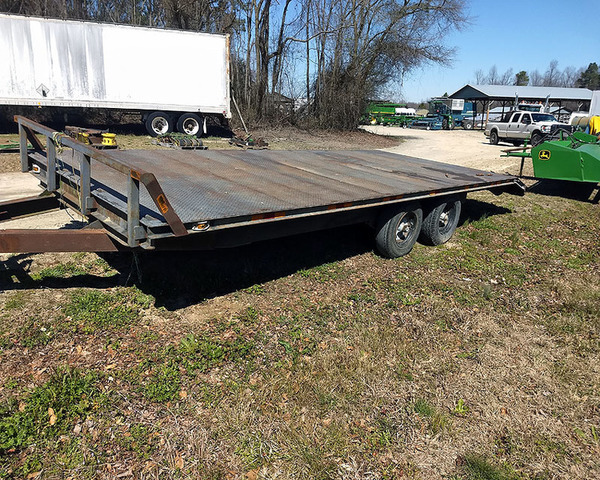 White King 96” steel hopper bottom trailer, 60” sides, 24.5 tires, air ride suspension, roll over tarp. 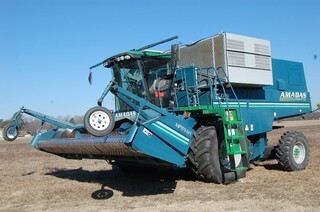 Amadas 9970 self-propelled peanut combine, 4×4, SN-500190, w/Amadas MP 919-6H11 head, 1075 engine hrs., 754 separator hrs. 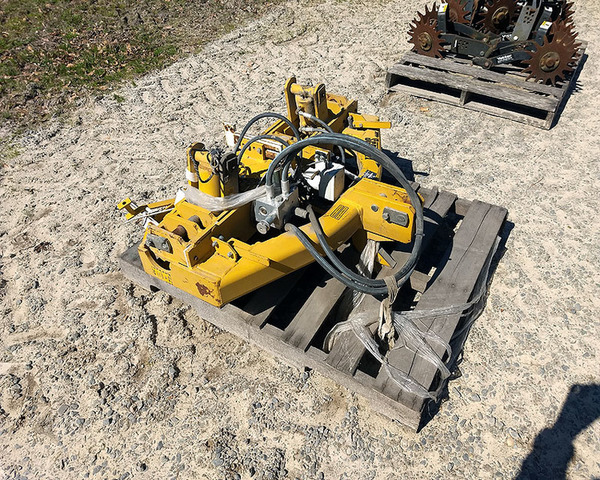 (2) Amadas ADI-4 peanut diggers, hydraulic driven, 3-pt. 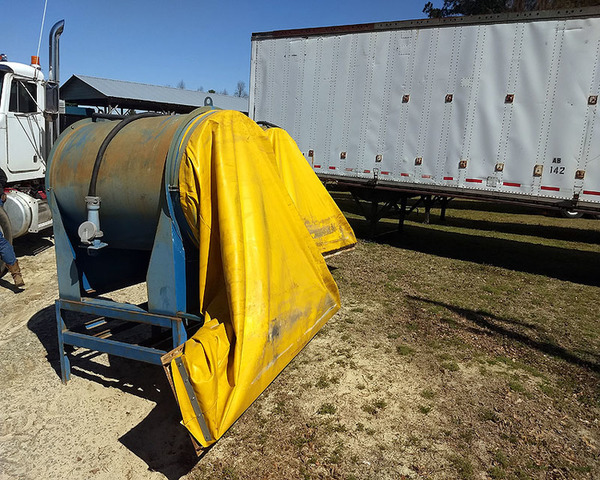 (2) Cook Industrial blue line peanut dryers, set for semi-trailer. 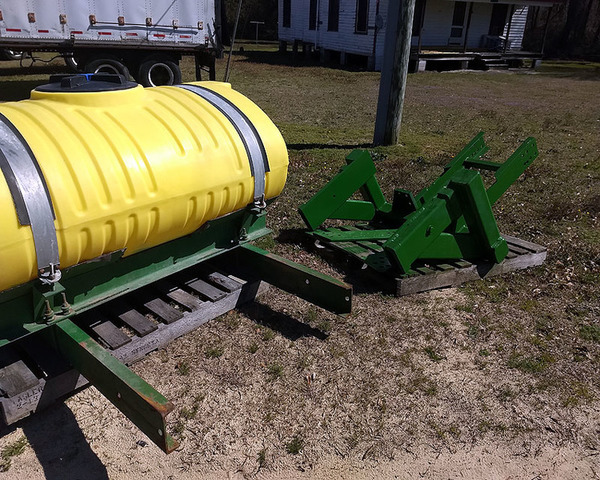 Amadas cross auger, fits 6-row head peanut head. 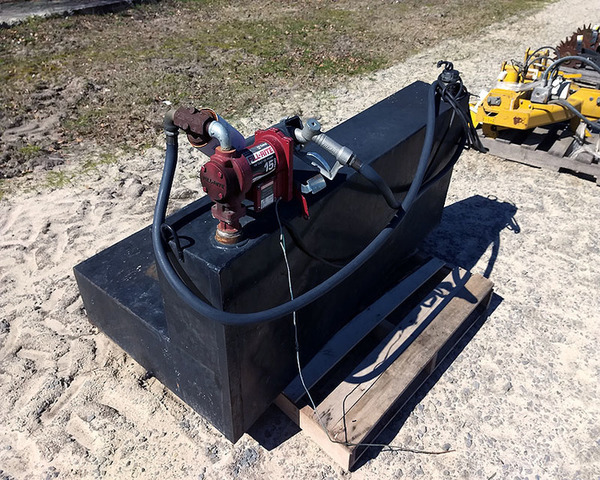 Ferguson 6-row hydraulic fold peanut fluffer. 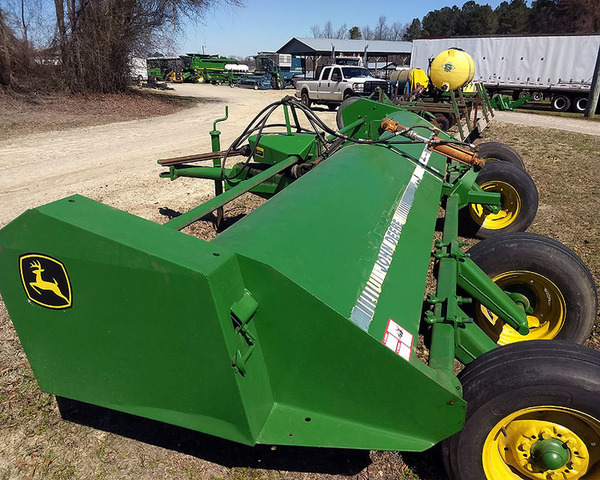 John Deere 9870 STS, 4×4, SN-SJBO741745, 20.8R42 duals, contour master bin extension, showing 829 engine hrs., 547 separator hrs., complete board in arm rest has been changed, machine has approx. 1600 engine hrs. & approx. 1000 separator hrs. 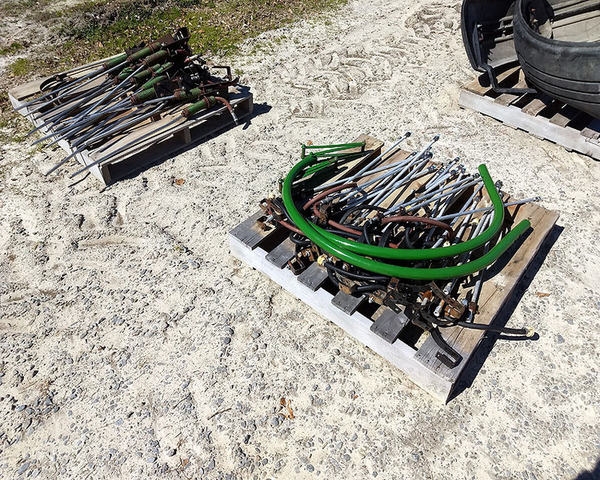 John Deere 630F hydro flex head, full finger auger, SN-TC0745656. 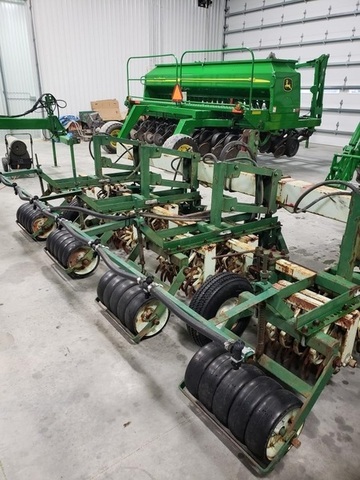 John Deere 60C, 8-row corn head, 36” rows, w/row sensors, SN-X731886. John Deere wheat concaves for 9870. 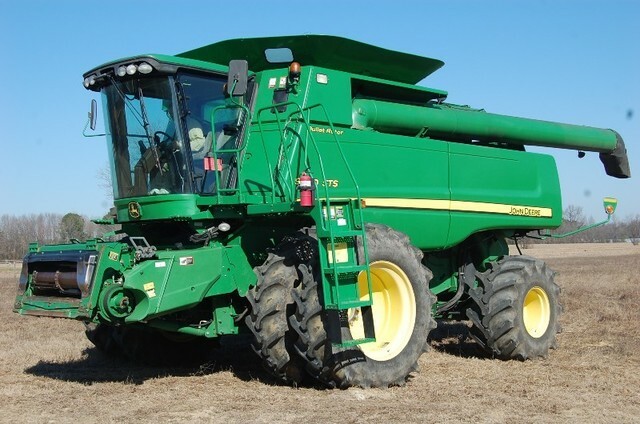 John Deere 6700 hi-cycle, 4×4, 420 gal.T-tank, 60’ hydraulic folding booms, 4158 hrs., SN-XO18171. Shepperd 2000 gal. poly nurse tank w/pump, on skids. Shepperd 250 gal. front mount tank, last on JD 8000. 12,000 gal. aluminum upright nurse tank. 6000 gal. poly upright nurse tank. 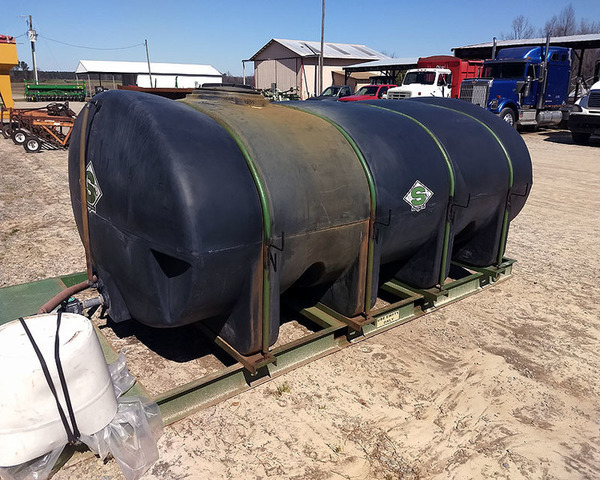 (2) 1000 gal. flat bottom nurse tanks. 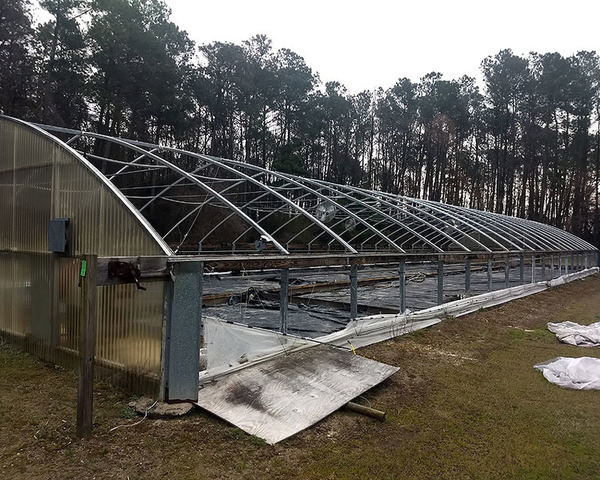 (2) DeCloet greenhouse w/mower rail & heaters, (1) 40×125, (1) 40×100. Kuhn Krause Mdl. 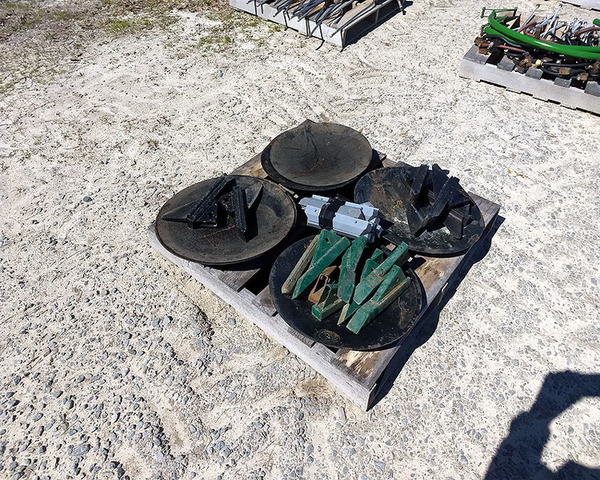 7300, 27, 72-blade disc, 9” spacing, nice. 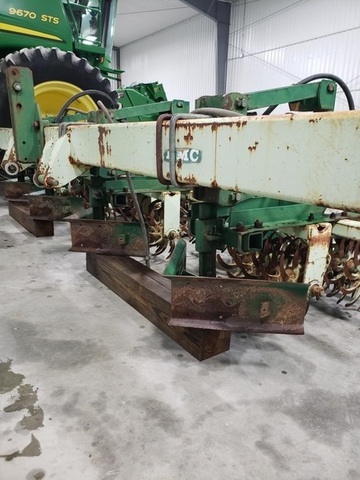 KMC 8-row ripper bedder, hydraulic stack fold, auto reset shanks, floating linkage, hydraulic fold row markers, dirt door, set on 38”. 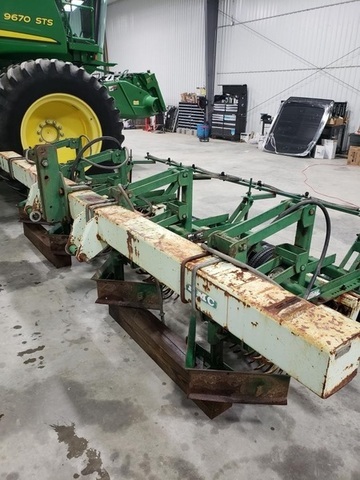 John Deere 1725, 8-row stack fold planter, 3 bu. hoppers, cable drive, row units, 3-pt., SN-KET760267. 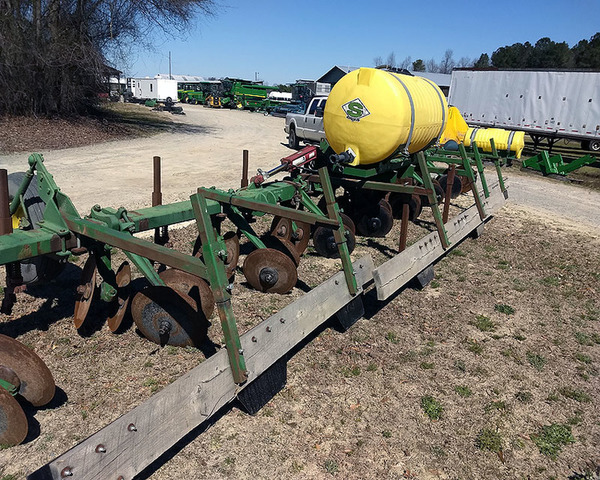 John Deere 1730 8/15 no-till planter, MaxEmerge XP row units, hydraulic row markers, w/John Blue ground driven pump to spray behind row, 3 bu. 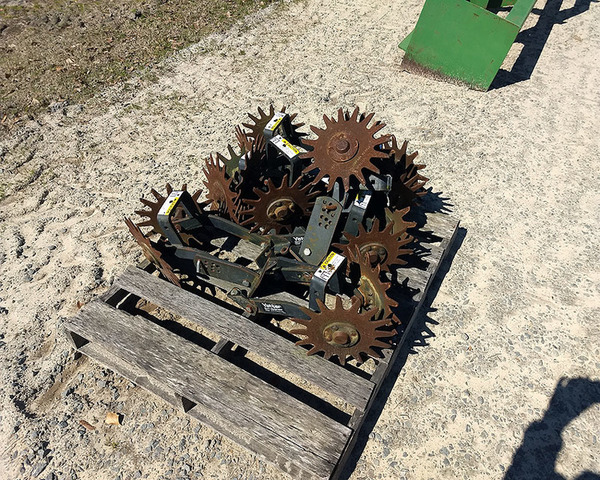 hopper, cast iron closing wheels, pneumatic down force, 3-pt. 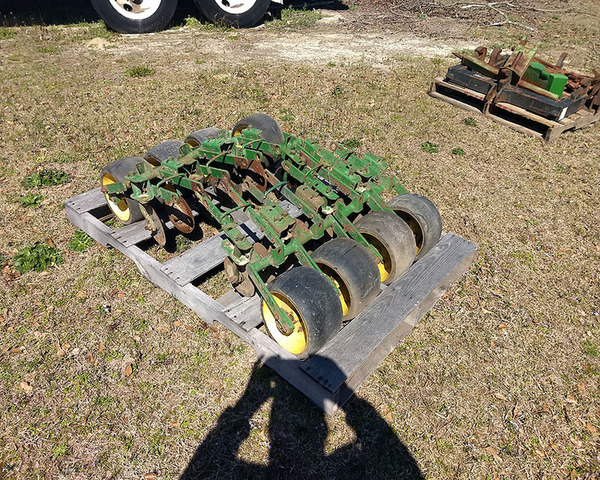 John Deere 1520, 20’ grain drill, 32-drop,w/press wheels, hydraulic fold row markers, hydraulic down pressure, 3-pt. 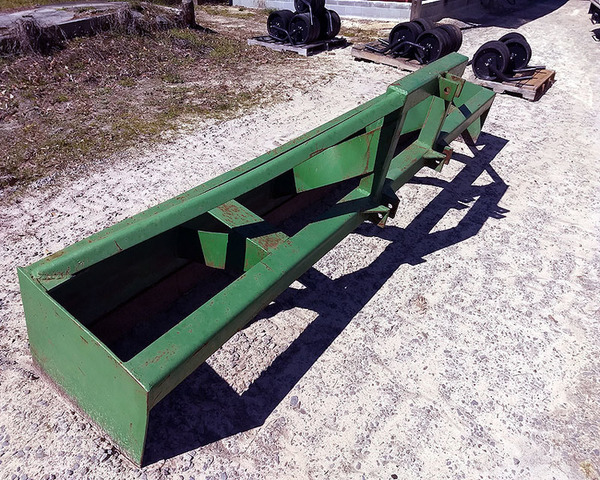 KBH ST 350 seed tender w/KSI belt conveyor, Honda engine, roll over tarp, tandem axle, 15” tires, pin hitch. 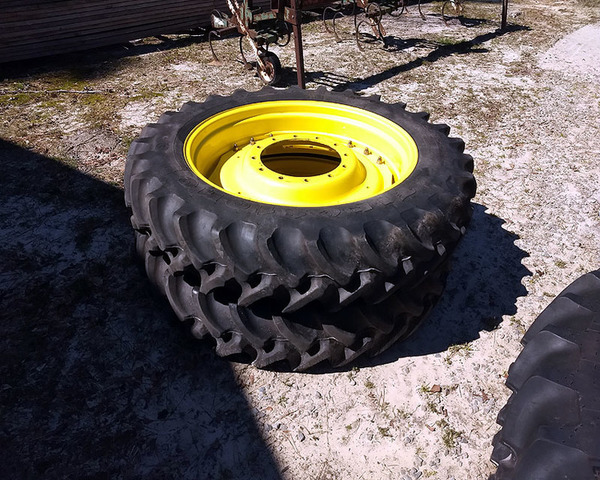 EZ Trail 510 grain cart, 1000 pto, 23.1-26 tires, pin hitch. 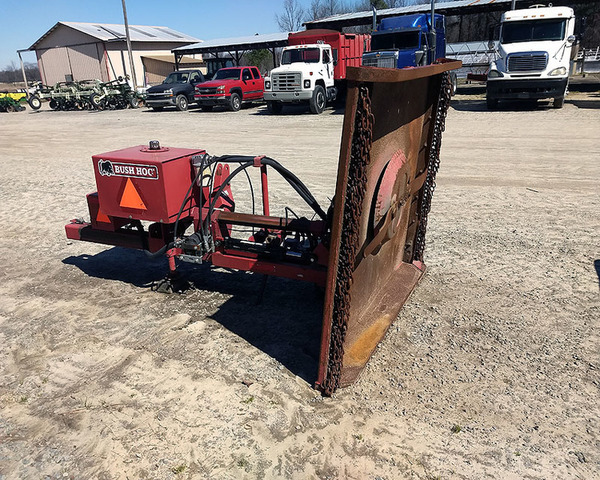 Bush Hog SM60 hydraulic ditch bank mower, 540 pto, hydraulic slide, 3-pt. 12,000 gal. 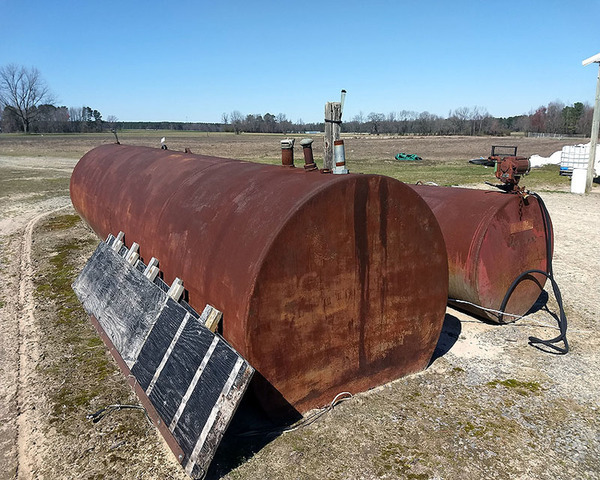 vertical steel fuel tank. 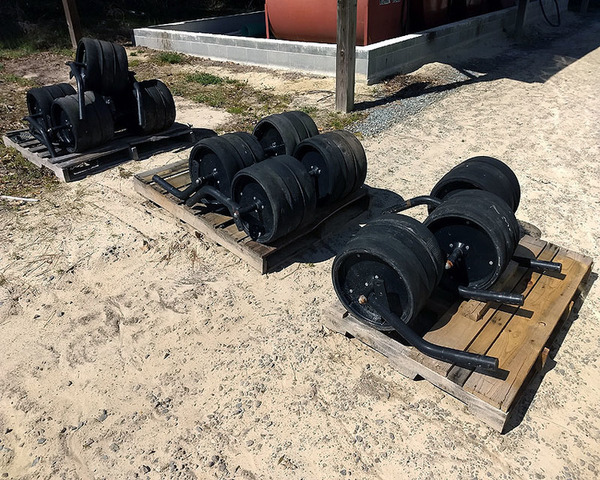 Unverferth 15” wheel spacers, 10-bolt. 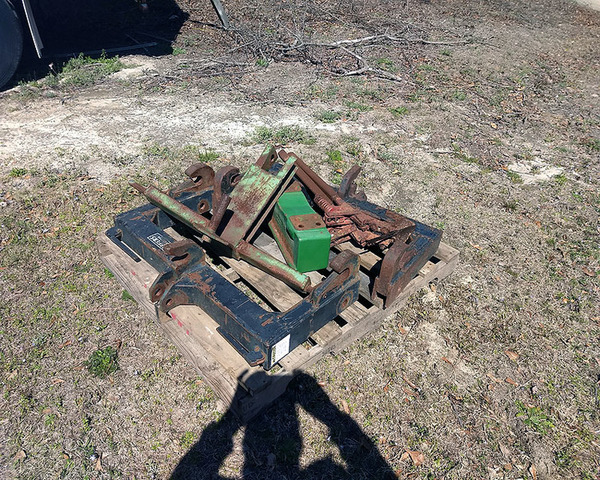 PTO driven winch, 3-pt., came off of Army truck (it’s a bear cat). 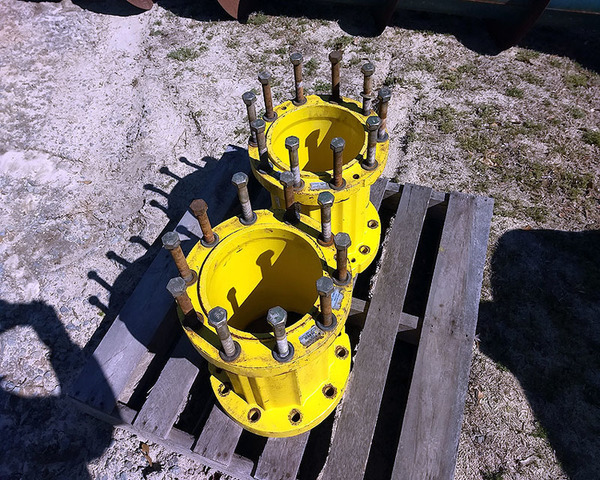 John Deere dual hubs, last on 7810. 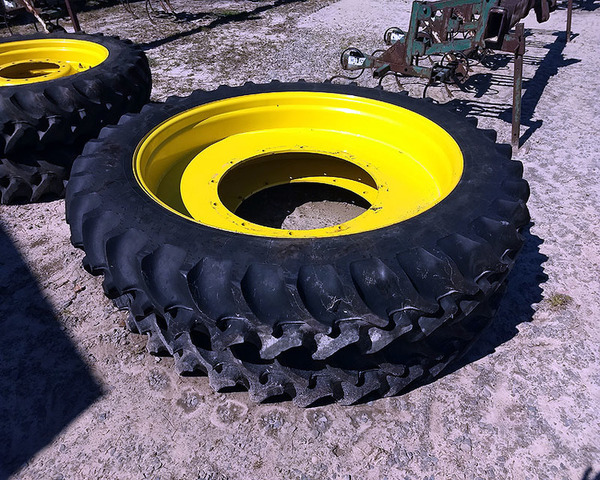 John Deere front fenders, last on 7810. 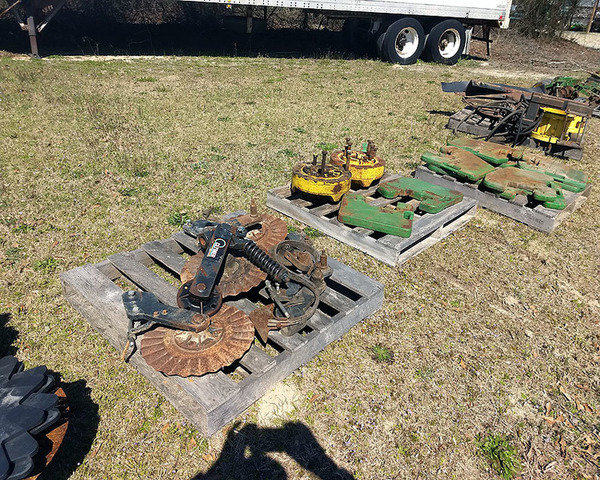 Several John Blue ground driven pumps. 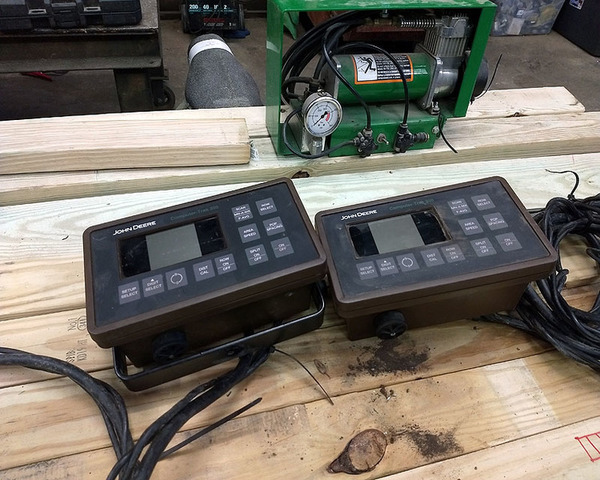 Several ACE hydraulic driven pumps. 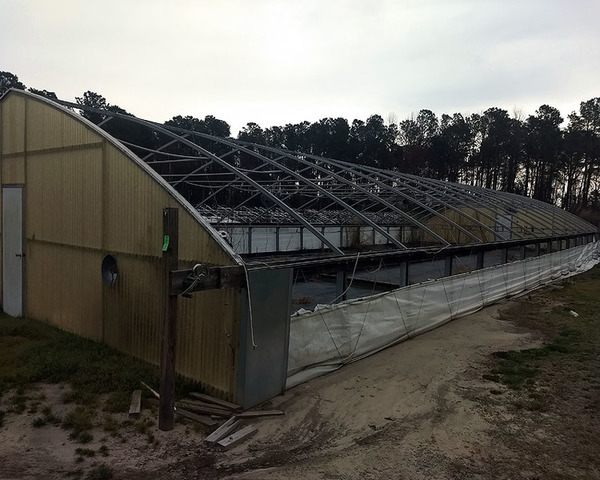 10’ poly feed troughs on galvanized runners, good. 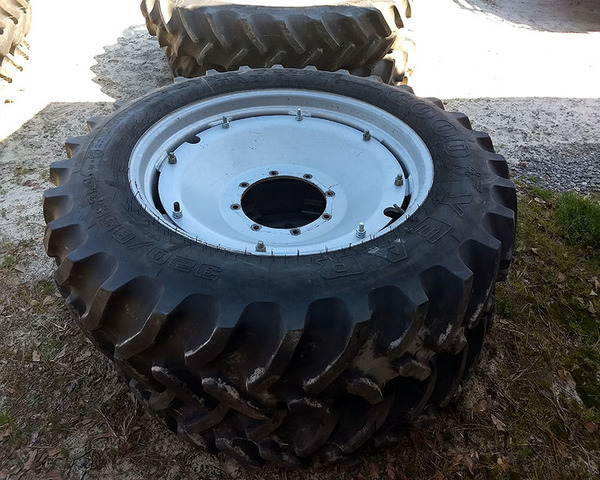 14.5 tires, new, mounted on rims. 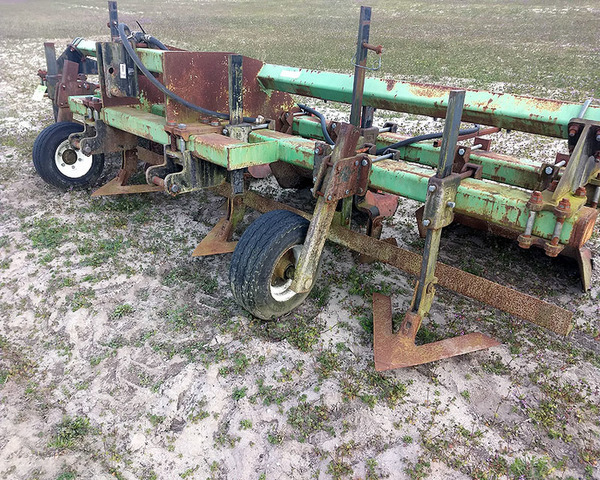 KMC 4-row bedder, preparator w/ sprayer boom, set on 40″ rows, will go out to 48″, rear firm wheels, 3-pt. 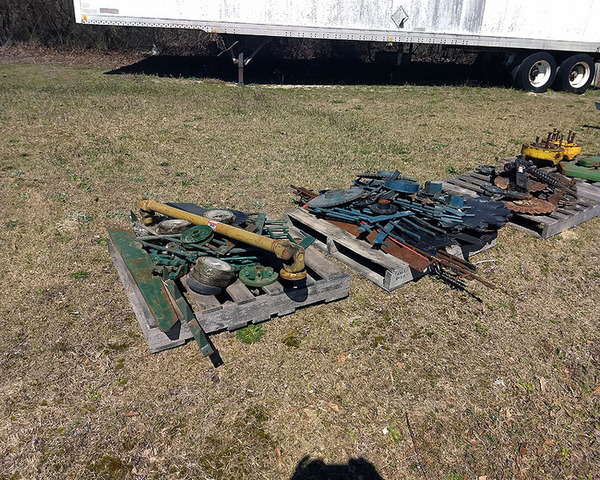 Auctioneer’s Note: If –U- are in need of slightly used equipment w/low hrs. 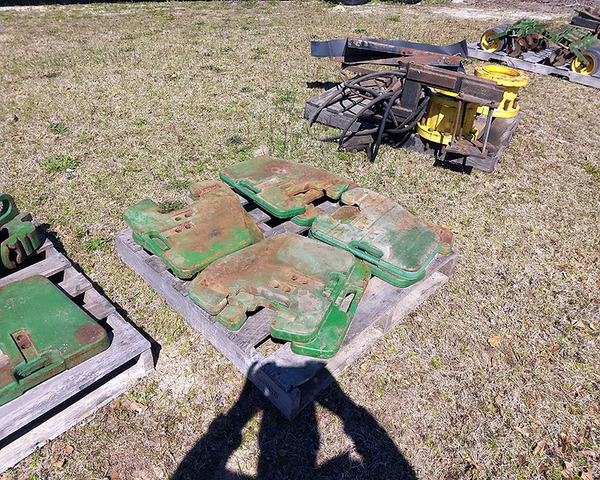 & most of it shed kept, this will be your equipment auction to fill your needs. Allen is going to devote more time to his confinement hog farms. For more info call Allen 919-738-9360.